Most people know the “willy nilly silly old bear” who is Winnie the Pooh. 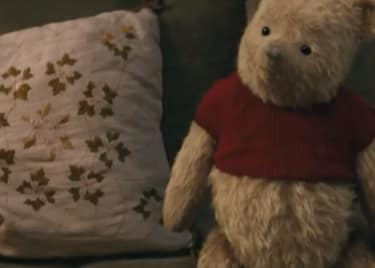 With a new version of his story, Christopher Robin, coming to the big screen on August 3 from Disney, even more people are soon going to know Pooh. 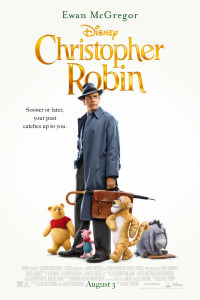 Christopher Robin is a fantasy-tinged drama that tells the story of Christopher Milne, the young boy who inspired stories of Pooh and his friends in the Hundred Acre Wood. There’s some truth behind this story, too – here’s the complete history of Winnie the Pooh. To understand Winnie the Pooh, you have to begin, oddly, with war. The First World War, which ended in November 1918, left deep scars on British culture. 700,000 British soldiers were killed on the front lines. Returning soldiers brought home an unwelcome guest, the so-called Spanish flu, one of the most dangerous pandemics of global history. A quarter of the British population was affected by the Spanish flu, and 228,000 people died during the outbreak. Globally, more people died of the Spanish Flu in 1918 than in the four years of the Bubonic Plague from 1347 to 1350. Although A. A. Milne was a pacifist, he had been drafted into the British Army. He participated in the Battle of the Somme, one of the bloodiest battles of the war, a five-month-long war of attrition between British and French armies and the Germans. Milne’s survival was a miracle, and he returned from war a changed man. Today, Milne would be diagnosed with a severe case of Post-Traumatic Stress Disorder. In truth, he returned to a country that collectively suffered from the same things he did. Milne and his family ultimately left the city, seeking solace in the countryside near Ashdown Forest. There, Milne began to exercise his creative instincts in order to deal with his own emotional pain. 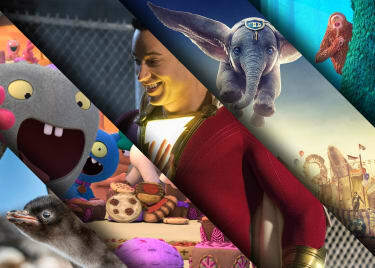 But he finally found a way to connect: through storytelling. 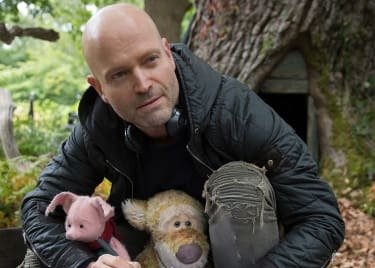 Taking inspiration from his son’s collection of stuffed animals, and from their wandering trips into Ashdown Forest, Milne began to create a whole community of animal characters and the human boy, Christopher Robin, who befriends them. Ashdown Forest became the Hundred Acre Wood. Christopher’s own stuffed bear, named Winnie after a small black bear he had seen in the zoo, became the star of the show. In 1924, Milne published a poetry series called When We Were Very Young, which introduced the world to Winnie the Pooh. Over the next four years, he would go on to write four children’s books, collecting a number of short stories. Their innocence captivated a wounded generation. Sales were remarkable. Surprisingly, the Winnie the Pooh books appealed as much to readers in the United States as to those in England, and the character become one of the first transatlantic literary phenomenons. “I suppose that every one of us hopes secretly for immortality,” Milne wrote in 1926, before his books swept across the world. He would achieve that goal and, sadly, he would come to regret it. As the inspiration for Christopher Robin, Milne’s son was actually more famous than his own father. At first, Christopher lived a sort of celebrity lifestyle, replying to fan mail under the supervision of his nanny, while his image and voice were used for marketing. The child was ill-prepared for fame, however, and young Christopher resented it. By 1928, A.A. Milne began to realize the impact on his son. The adventures of Winnie the Pooh came to an end when, in 1929, when Christopher performed in a pageant inspired by the stories. In 1930, Christopher Milne went to boarding school. There began what he described as his “love-hate relationship” with Pooh, as Christopher endured intense bullying. While Christopher’s family had always taken care to distinguish between him and his fictional counterpart – they actually referred to Christopher as “Billy” – the rest of the world was not so kind. People believed they knew the real Christopher and expected him to be the childlike figure he had inspired. At times Christopher felt as though his childhood had been stolen, and marketed to the world. In “The House at Pooh Corner,” A.A Milne wrote that “in that enchanted place on the top of the Forest, a little boy and his Bear will always be playing.” For his son, this statement would always be painfully true. In 1948, Christopher Milne met his future wife, Leslie, a cousin on his mother’s side. Ironically this just added to the strain between Christopher and his father, as that side of the family was estranged from the rest. Marriage helped Christopher move out from under the shadow of Christopher Robin. He and Lesley moved to Devon and opened a bookstore. Christopher discovered his own skill as a writer, penning a three-volume autobiography, which helped him resolve the deep-rooted questions of identity he had always struggled with. Sadly, Christopher remained distant from his father, who passed away in 1956. His mother died 15 years later, but Christopher only saw her once in all those years. In the end, Christopher Milne found his peace with Winnie the Pooh. For years he had refused to accept money from the Winnie the Pooh franchise, but that changed after the birth of his daughter, Clare. Clare was born with special needs, and Christopher accepted the money for his daughter’s sake, using it to her benefit. Little by little, he seems to have begun to understand the impact Winnie the Pooh had on a broken generation, how the “willy nilly silly old bear” had given innocence and hope back to a nation. When Christopher passed away in 1996, his friends said that he had finally found peace. Christopher Robin opens on August 3.